OlliOlli: Epic Combo Edition includes a gold leaf adorned super exclusive special edition, containing BOTH OlliOlli and OlliOlli2: Welcome to Olliwood, 3 documentaries, an exclusive Studio Booklet and the OlliOlli2 extended soundtrack – a veritable content value festival for you to put on your shelf and be proud of. 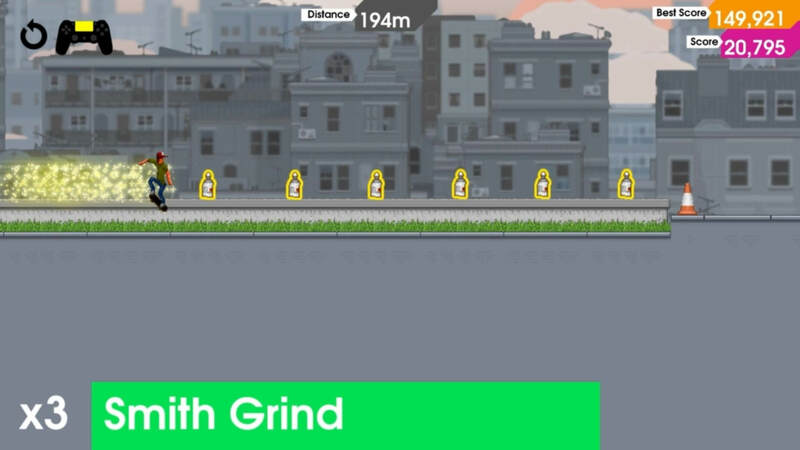 OlliOlli - The original (cough - BAFTA award winning) twitch classic, that destroyed controllers and shook up the skateboarding genre. Over 120 Tricks and Grinds across 50 deviously crafted Levels, 250 Challenges, Spots Mode and Daily Grind. All alongside a curated cult Soundtrack to soothe you after another epic slam! OlliOlli2: Welcome to Olliwood - And just when you thought your thumbs had recovered, this souped-up sequel brings you a whole new world of cinematic sass. New Tricks, Hills, Ramps, Monster Air, Manuals, Reverts, and longer multi-route levels with outrageous lines - all available for battle inside a 2-4 player Local Multiplayer mode! 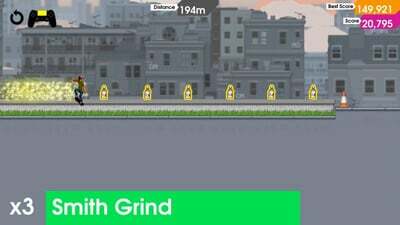 OlliOlli2’s combo system has been expanded as the joy of Manuals, Reverts, Revert Manuals and Grind Switching gives you more control and expression than ever before. The hallowed ‘Tricktionary’ also expands with new specials including 540 Shove-its, Anti-Casper Flips and Darkslides. The sequel brings Five NEW worlds, 50 NEW Amateur and Pro Levels and 250 NEW Challenges to tear through, along with the return of the much loved Daily Grind, Spots Mode and RAD Mode, and last but not least, introducing a gnarly NEW Mode: Combo Rush, a split-screen Local Multiplayer (up to four players) with four game modes. If you’re looking for a pair of games that will test your thumbs’ dexterity as well as your patience to reward you with pure gaming zen, look no further than this curb-crushing compilation.